A local company with over 100 years of providing northeast Ohio with quality awnings and service. 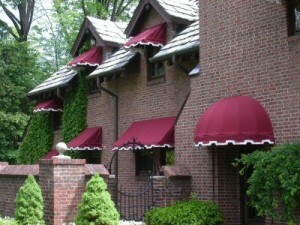 Custom made and fit fabric awnings, made with pride here in Ohio. South Akron Awning has many awning installations, please check the galleries in the residential and commercial pages. Wide selection of fabrics and color schemes. For a quote or free estimate simply send us an email, click the button above or call (330) 848-7611.